I buy too much texture polish and all I want to do is put top coat over it. I'm sorry. I've tried. I see some textures in peoples photos and I'm like "ooooooo! ", but when I put them on me I don't like how they can look so dull. Again, I feel guilty. I've tried. There are few metallic ones and sparkly ones, I do like as they are, but that's a rarity. I like my shine. I'm sorry. Why am I apologizing? Here is a textured polish from Sally Hansen, I thought I might not need to top coat, but I like it better top coated. 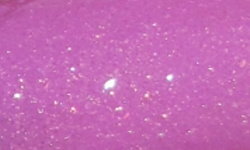 Berried Under is a cool-toned pink shimmer texture. Color: I actually love this color. I love purple-toned pinks. I love the shimmer in this, but it's totally lost in the textured part. 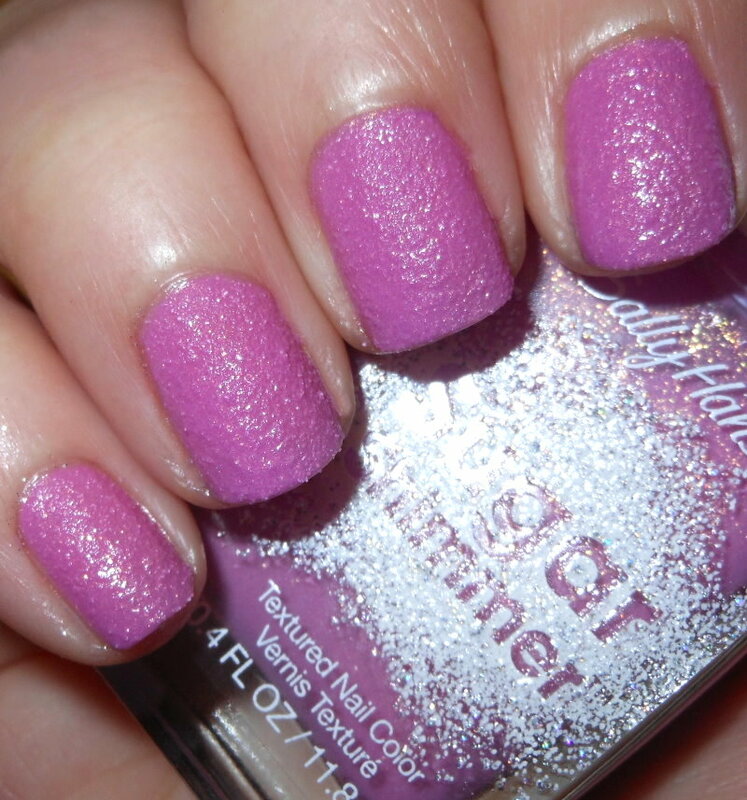 The shimmer really pops with top coat, and I think that's the best part. Formula: Good formula. I used 2 coats above. Price: I have no idea what I paid for this. I forgot! I got this at Ulta though, so I'm assuming it was in the $4-$7 range. Overall: I love this color. I love the shimmer. I just don't like how the shimmer gets lost in the texture. The polish preforms well, but it's not 100% there for me. I love the color on it too but I'm usually don't much of a fan of creme textures. I much prefer the sparkly ones. Pssssh! No apologies needed, you wear your textures however you want!!! That color is dynamite with your skin tone!!! Love! I am not completely sure how I feel about these texture nail polishes, just like you. I think it is great that you give your own spin to the manicure with a top coat. Yeah, I like it better with top coat. Great color! You know, I thought I was really anti-texture too, but I picked up a bottle of OPI Tiffany Case this past week, and maybe it's the fact that it's sparkly, but I'm digging it. I'm tempted to put top coat over it to see exactly what happens, but I think I'll give it a few days first. I had no idea Hansen released textured shimmer nail polishes. I have one Sugar Coat but it isn't exactly what I like.